Škoda Superb honours ‘Laurin & Klement’. 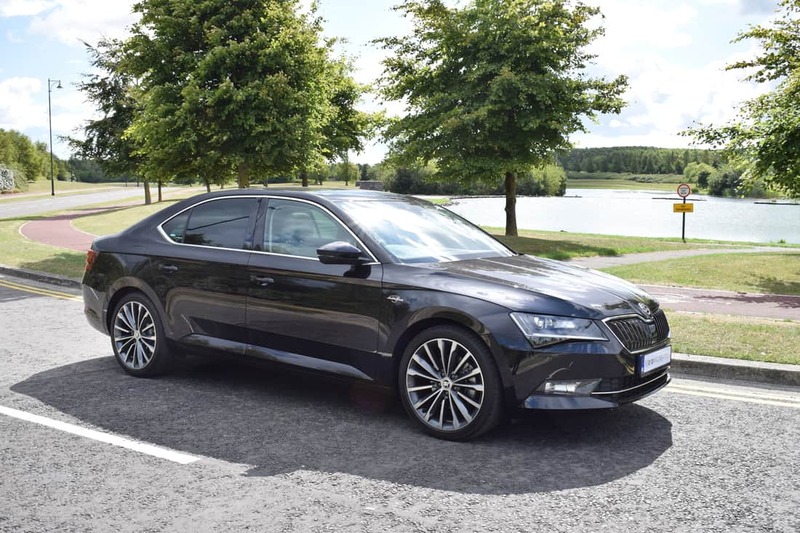 When it comes to practical family cars, the name of the Škoda Superb sums it up, as it really is a ‘superb’ car in every way. 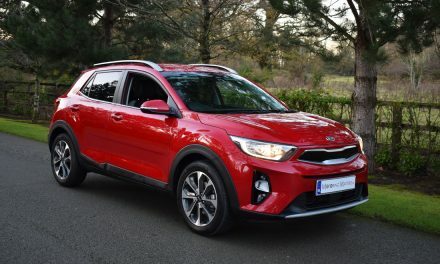 The big boot and spacious interior mean it has always been a front-runner for versatility, but now in its third-generation, the current model has brought some major style to the party, too. 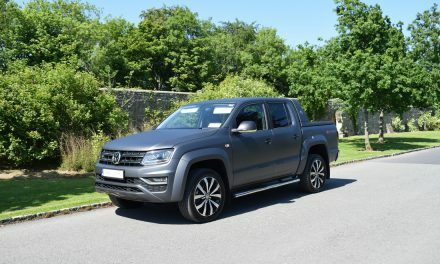 As well as a sharp and ultra-modern exterior design, the cabin has moved upmarket, with more soft-touch plastics and metal trim. 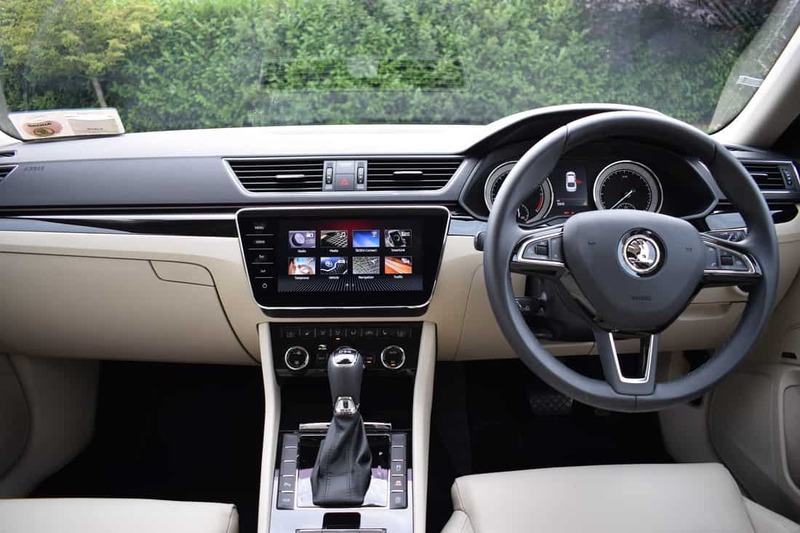 Indeed, remove the Škoda badge from the centre of the steering wheel and you would be hard pressed to differentiate this car from any similar sized offering from any of the ‘premium’ brands. My test car was the Škoda Superb 5-Door ‘L&K’ with a punchy & refined 2.0-litre TDI (turbo-diesel) engine offering 190bhp. A wonderfully smooth DSG gearbox (7-speed automatic) made driving this car a pure pleasure and made every journey thoroughly enjoyable. 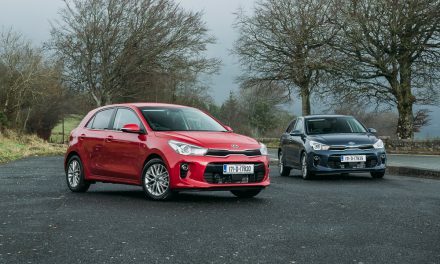 Emissions from this 2.0-litre engine are just 122g/km, resulting in annual road tax of just €270. 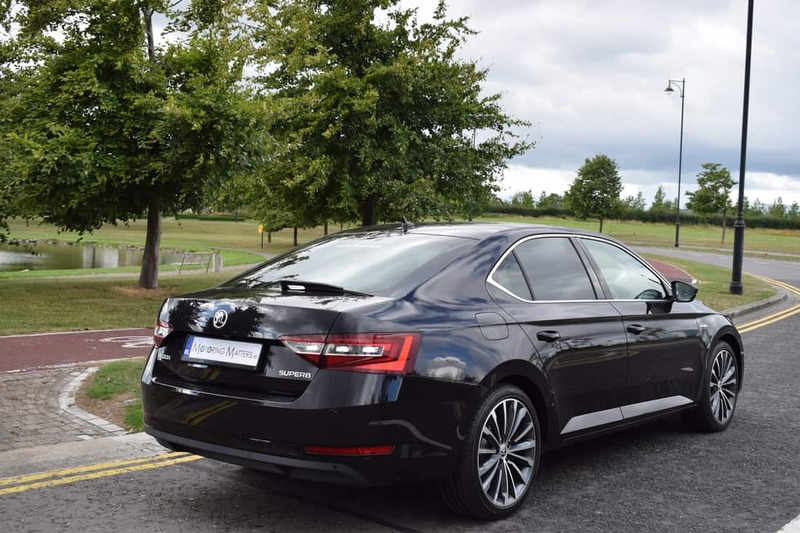 Outstanding fuel economy is sure to appeal to drivers of the new Škoda Superb, with up to 60mpg (4.7l/100km) possible on a combined driving cycle. 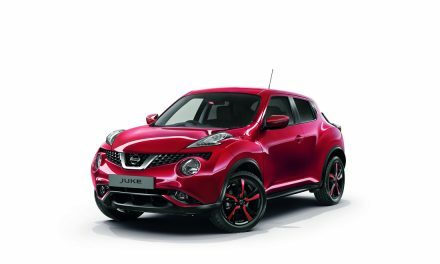 Top speed is 234km/h (where permitted) and the 0-100km/h sprint can be achieved in just 8.3 seconds – truly impressive figures given the size of this car. At 4,861mm long, the Superb is just 38mm shorter than a BMW 5-Series, while a wide stance provides the Superb with an air of authority on the road. This special edition ‘Laurin & Klement’ (L&K) model is named after two cyclist friends, mechanic Václav Laurin and, book-seller Václav Klement, who founded the Laurin & Klement bicycle company in the Kingdom of Bohemia in 1895. The two friends then went on to manufacture motorcycles and automobiles before selling their successful company to Škoda Works (founded by Emil Škoda) in 1925. Škoda Works then re-branded as Škoda Auto – which is today the largest car manufacturer in the Czech Republic and a subsidiary of the giant Volkswagen Group. To distinguish the ‘L&K’ model from other models in the range, Škoda have adorned the front wings of the car with Laurin and Klement’s signatures, along with insignia visible on door sill-plates front & rear. Standard specification on all new Škoda Superb cars is impressive in terms of comfort, safety and technology, with the range-topping ‘L&K’ model featuring such items as Bi-Xenon headlamps with headlamp washers, 3-zone air-conditioning with temperature regulation, Columbus 9.2” touchscreen with satellite navigation, in-car WiFi and SIM card slot, umbrellas built into the front doors, 19” TRINITY anthracite alloy wheels, Laurin & Klement embroidered seats, ambient cabin lighting with 10 alternative background colours, keyless entry & start, LED rear lights, daytime running lights, seven airbags, ISOFIX child seat anchorage points, tyre pressure monitoring system, hill hold control, cruise control with speed limiter, front centre adjustable armrest, remote central locking, electric front & rear windows, leather steering wheel with multi-function controls, full leather interior, front fog lights with cornering function, reverse camera, front & rear parking sensors, electrically adjustable driver and passenger seats with memory function plus many other practical features. 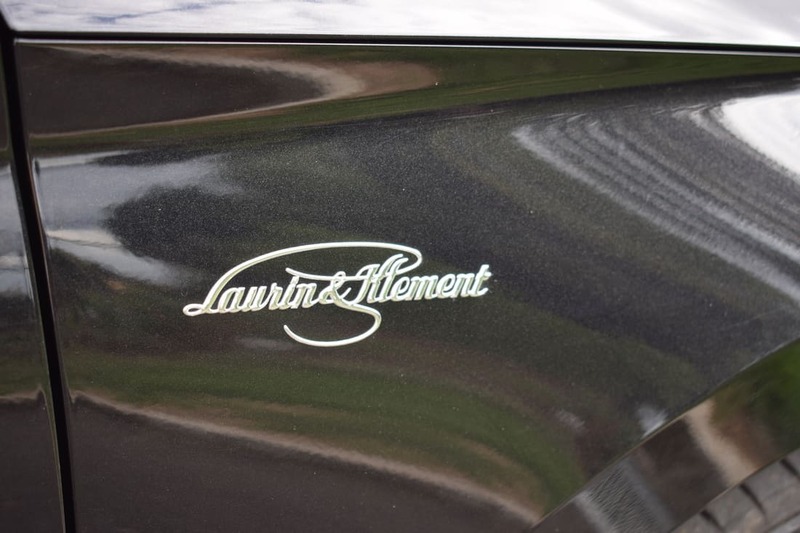 With the Superb ‘Laurin & Klement’ special edition, the emphasis truly is on elegance and luxury. 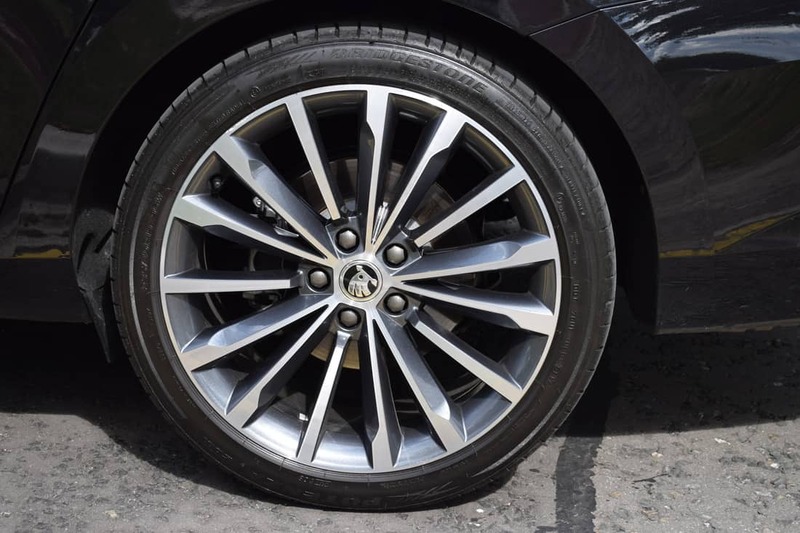 What really impresses is how the new Superb drives. Excellent driving dynamics combine with powerful brakes to ensure outstanding driver confidence on the road. It’s very comfortable on the motorway, but what is more surprising is how agile the Superb is. The Superb is a very big car, but it is so easy to drive that you will quickly forget this. Luggage capacity in the new Superb is 30-litres greater than the class-leading capacity offered in the previous generation. 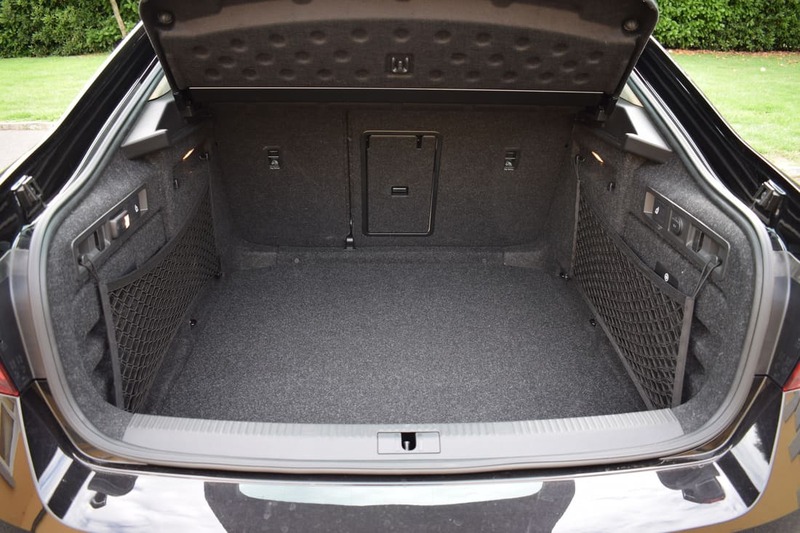 With 625-litres available with the rear seats in place, the Superb offers 40-litres more space than its closest rival, the VW Passat. 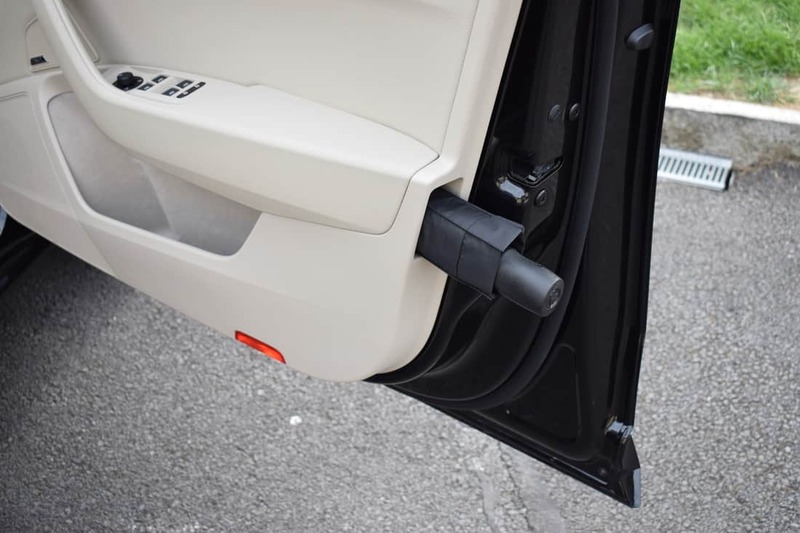 Fold the rear seats flat and a whopping 1,760-litres of space becomes instantly available. 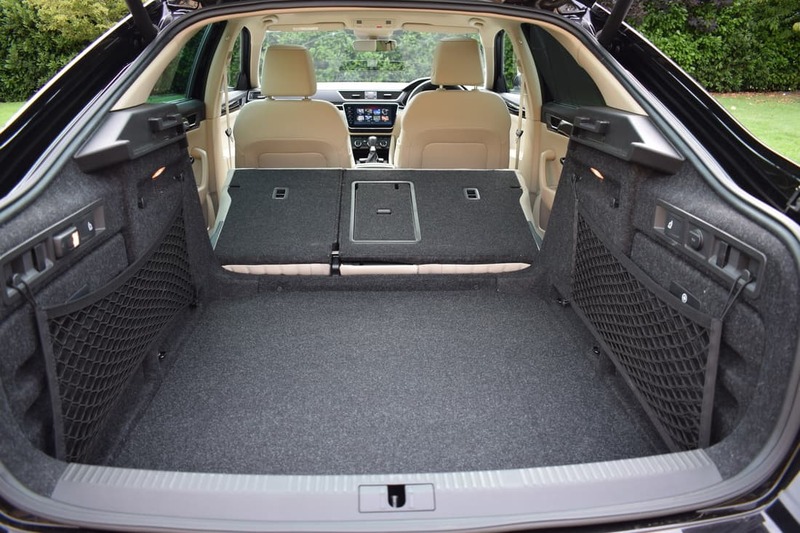 The space is deep, wide and extremely long with the rear seats down, so transporting a couple of bikes in there would be easy, even with all the wheels attached. 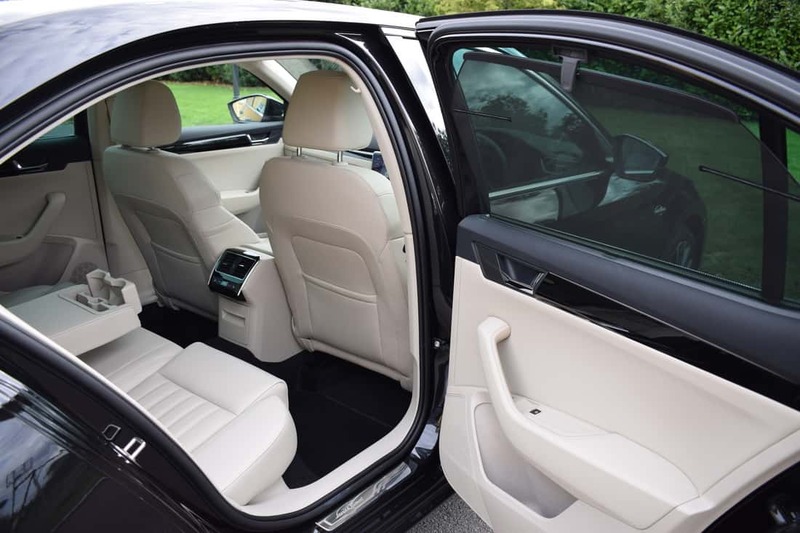 The new Superb is the class leader in terms of legroom too, as it provides over double the leg clearance offered by most of its rivals. 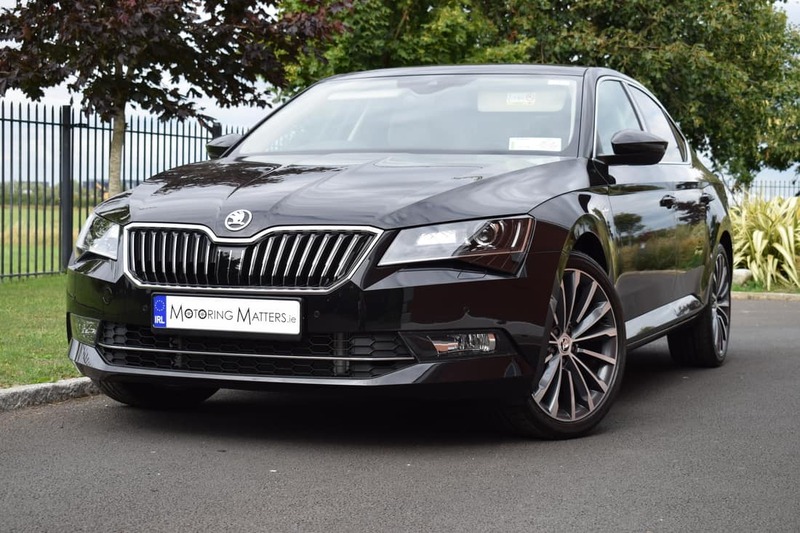 Škoda’s handsome new Superb is a revelation if you’re looking for a large family car with a premium feel and an affordable price-tag. It is comfortable, quiet and relaxing whether you are in the front or the back. The new Superb is also without doubt the most technologically advanced and safest Škoda ever built, with a vast range of crash-prevention systems. This resulted in a strong five-star performance in the EuroNCAP crash tests, when adult and child occupant protection were both awarded an outstanding 86 per cent rating. My overall view of the new Škoda Superb is that it is quite possibly ‘all the car you will ever need’. Pricing for the new Superb starts at just €29,225 with my test car specification available from €45,445. Škoda’s large family car really does live up to its name, while the ‘L&K’ special edition model is a fitting honour to the two innovative visionaries who combined their creative talent 123 years ago. Visit www.skoda.ie for further information.